Value Retail is preparing to open a huge retail complex next to the first Disneyland in mainland China, for which we are designing a brand new ASICS outlet store. We have been working with ASICS China to design an outlet store in the new Shanghai Village complex, next to Disneyland Shanghai. 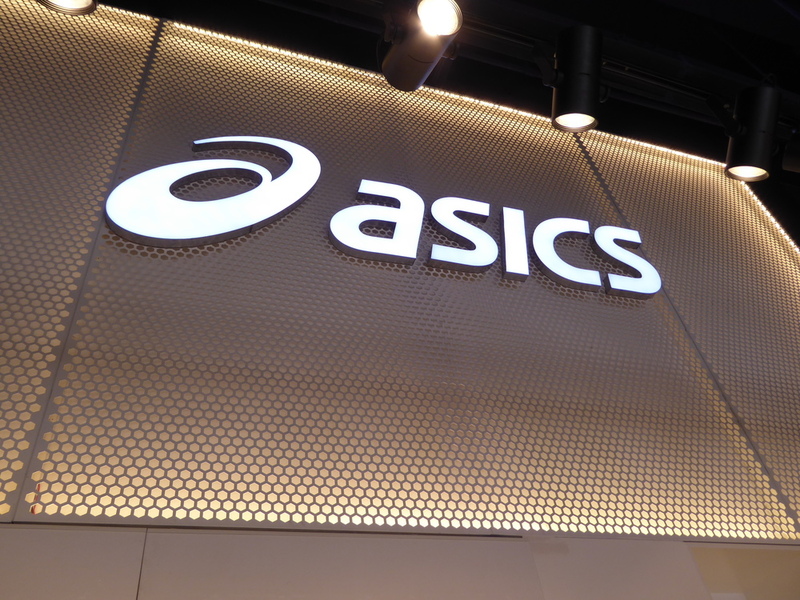 The ASICS store will open shortly, as part of a phased development plan. We wanted to create something for ASICS that pushed the boundaries and brought something fresh to the idea of an outlet store. The majority of the retail units in Shanghai Village have a defined mezzanine stockroom area towards the rear of the store, which creates a large bulkhead that is visible to the customer and needs to be ‘managed’ visually. 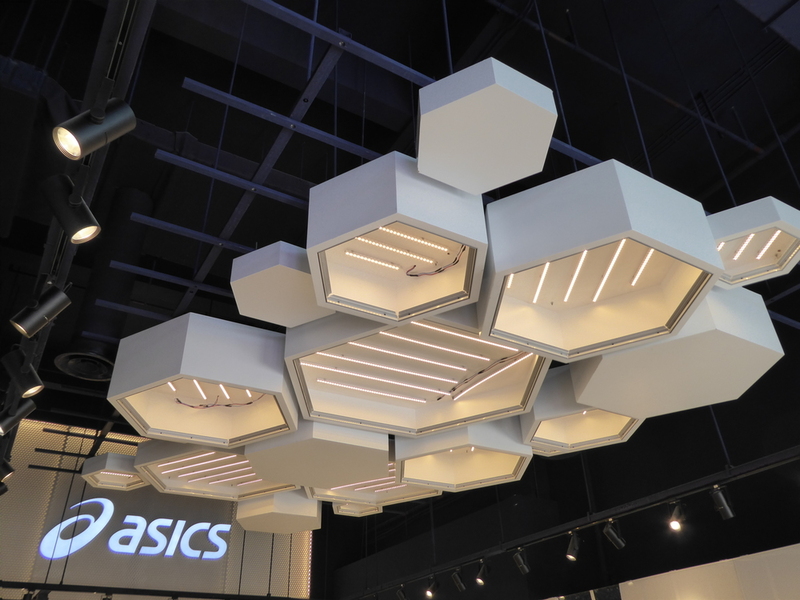 Our solution was to create a multi-layered backlit bulkhead, decorated with a 'fret-cut' hexagon design and large internally illuminated ASICS logo. The front of the store is an empty double height space, requiring an interesting ceiling feature. To address this our concept included a series of different sized/different height suspended hexagon lighting rafts. The shoe boxes are generally on open display so customers can easily select a style in their size and our challenge was to in some way ‘mask’ these areas. Our design response was to introduce open-faced storage boxes covered with frosted acrylic sliding doors, complete with a printed graduating blue hexagon pattern. The trading performance of the store will now be closely monitored before decisions about roll-out to further sites are made.